Garden City GAF Roofer | Garden City GAF Roofing | Garden City GAF Roofing Contractor | Garden City GAF Master Elite Contractor | Garden City Certified GAF Master Elite ContractorMcGlinch & Sons CO. Residents throughout the Greater Detroit Metropolitan area have been coming to McGlinch & Sons for their home improvements needs since 1917! Our certified GAF master elite contractors are acknowledged in the industry for bringing roofing services that are top-rated. In regards to that we are also recognized for selling top-quality GAF roofing products, GAF is also celebrated for being the major roofing manufacturer in North America. You would never have to worry about just anyone coming out to your home to install your roof because at McGlinch & Sons we only hire and work with people that are certified GAF master elite contractors! In addition, in order to even be considered for a job our contractors must be in the business for a minimum of seven years, including one year in the certified program, have one million dollars in general liability coverage, a great credit rating and documented customer satisfaction. There are only about 3% of total roofers nationwide that are GAF roofers. So, it’s no surprise that our Garden City customer’s come for the unsurpassed GAF roofing contractors here at McGlinch & Sons! Garden City is a city in Wayne County in Michigan. There are approximately 27,153 people living in Garden City, which shows there are quite a few GAF roofing jobs! The home of McGlinch & Sons is located in Farmington which just happens to be only 11 miles from Garden City! McGlinch & Sons is a family-owned and operated business with four generations of history and skills in the home improvement industry. So, it is no surprise why our clients always trust in us with their home improvement needs. Our Garden City clients can also appreciate our services because we are dedicated on providing the quality GAF roofing that they deserve. When any of our new Garden City customers are considering GAF roofing, they know that they can be certain our GAF master elite contractors will get the project done right. We would love to earn your trust and we will always go above and beyond to do just that! Our GAF roofers will bring a hundred years’ worth of history and skills when working on your GAF roofing project! We always make sure our clients believe that we will bring complete proficiency. 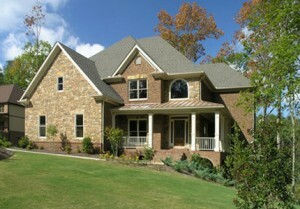 McGlinch & Sons wants our clients to be able to depend on us to get their GAF roofing done right. Our certified GAF master elite contractors appreciate your time and will always deliver outstanding craftsmanship. Plus, McGlinch & Sons offers our clients a lifetime warranty on our GAF roofing shingles, plus a 25-year non-prorated labor warranty recognized for being the best in the industry and free in home estimates! If you have been debating on getting roofing installed think no more, McGlinch & Sons is here to help you ever step of the way! You can undoubtedly trust in our certified master elite contractors to supply you with a guaranteed warranty. Please contact us right away, here are the numbers to call: East Side: (586) 776-8912, West Side: (313) 278-2777 and Oakland: (248) 987-6300. We are waiting patiently for your call today!